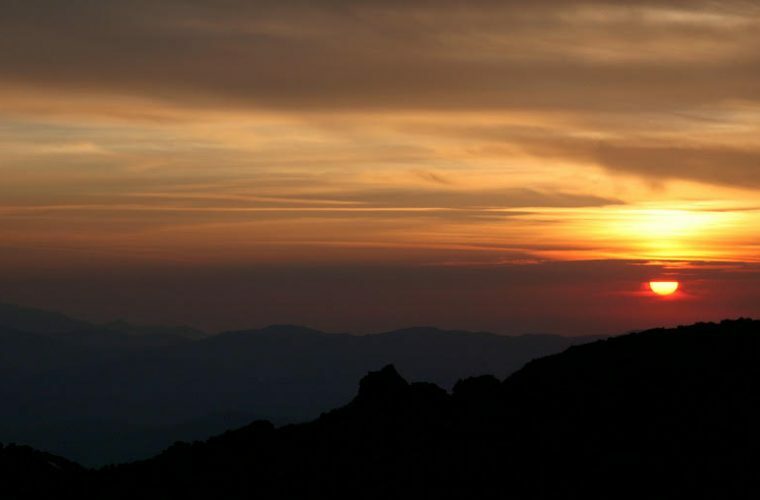 Etna Sunset excursion give you the possibility to visit the volcano in a beautiful summer afternoon with a spectacular sunset with a glass of wine. Choose to discover the volcano when less crowded and hot. Wait with us for a magic moment: the Etna sunset. 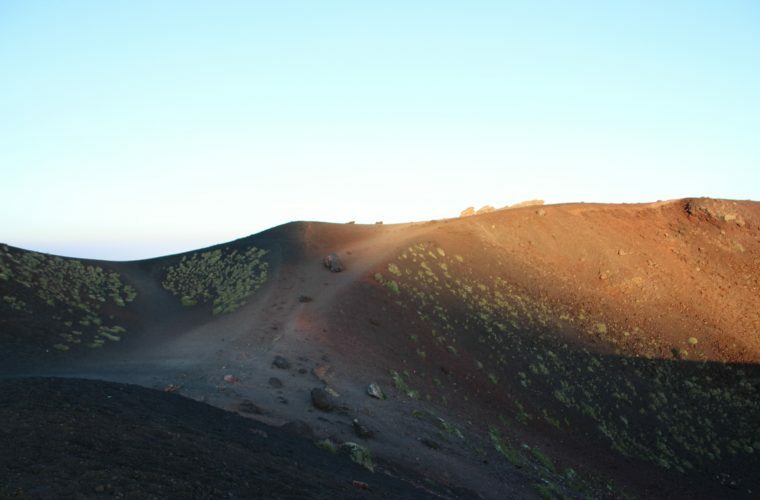 For this half day Etna sunset excursion we provide for pick-up service at your accommodation or in the close vicinity, with 8-seats vehicle. First stop: You will admire the famous Bove Valley from a panoramic spot, accessible by a not so difficult hiking trek in the middle of suggestive lunar landscapes. A natural stage where often the most spectacular lava eruptions are. In a clear sky day the summit crater will be visible in all their beauty. 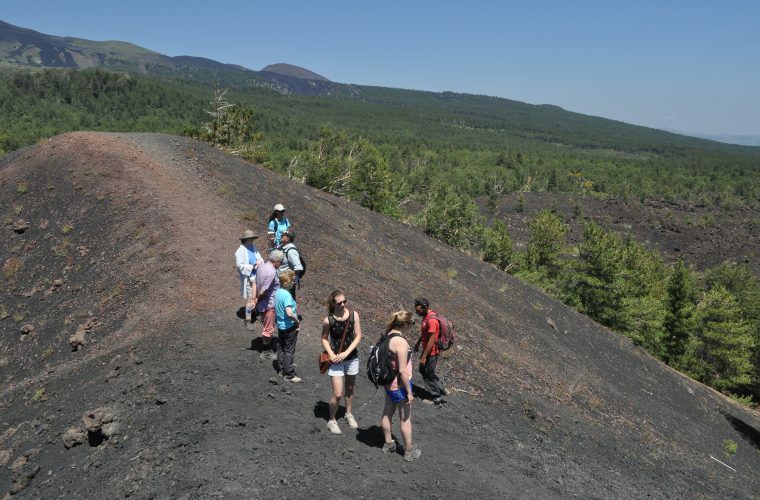 Second stop : Explore Etna’s lava caves while our friendly and knowledgeable guide will explain the fascinating volcanic phenomena. You will visit an interesting lava flow cave (Cave of Thieves or Cave Cassone) using the equipment that we will provide (helmets and torches). We will provide helmets and lights. Third Stop: Walking between eccentric craters and singular lava formations, our naturalistic guide will explain you the fascinating volcanic phenomena (the itinerary usually takes place on the south side of the volcano). You will admire ash deserts and lava lunar landscapes. Fourth stop : There will be a time dedicated to a snack/aperitif enjoying the sunset. In case of bad weather: some stops can be replaced with some local Etna wine, honey and olive oil guided tasting in a production farm. Fitness level: This half day Etna tour is adviced to everybody that is in normal good health conditions and that does not have any heart or breathing problems. Itineray changes: Depending on weather conditions the guide can always decide for everybody’s safety to change the itinerary. We remind you to wear sneakers (sports or trekking) with socks, and wear a winter jacket since the temperature at altitude is lower than 10-15 ° C around Catania. In case of snow, we also recommend to bring with you a second pair of socks. Snowshoes and sticks will be provided by us. If you think you are not well equipped, please let us know when booking. In that case, we will give you shoes and jackets. Also remember to bring a bottle of water with you to unwind during your trek. The journey can endure little variations due specific needs of the group and/or weather conditions. In addition, in the case of conditions or events that are independent of our will and unpredictable, the guide may choose to make some changes to the itinerary and its judgment is imperative. Pick-up in a jeep or minibus in Catania, directly at the hotels or by agreeing a meeting point. Equipment, if requested at the time of booking. Warning: If you are trying to make a reservation for tomorrow, please note that at this time our offices are closed so you can not proceed with the reservation by email. so we can give you the actual availability for the service you are requesting for tomorrow and, in case,we can proceed with the booking by telephone. If you book 2 of our tours, you will receive a 10% discount on the second tour booked. If you book 3 tours, you will receive another 15% discount on the third tour booked. Don't miss the opportunity! 3:30 p.m. - 9:30 p.m. The Bove Valley is a large basin (or caldera) located on the eastern side of the volcanic Mount Etna, within the protected area of the Etna Park in the territory of Zafferana Etnea. The formation of this basin, of a predominantly desert landscape alternating with dagalas (lava-insulated vegetation portions, mostly from the recent castles), is traced back to 64,000 years ago due to the collapse of the predatory eruptive centers of Etna. In fact, it is assumed that the valley was created by a series of collapses and the latest one, according to recent studies, should have taken place about 9,000 years ago. A large amount of carry-over material in the coastal area of Riposto would seem to confirm this hypothesis.